Book your transfer from / to Belgrade airport on easiest way by clicking here! Airport transfers from 18 euro! Rent some of our vehicles with driver for driving in city. If you have some meeting it's best solution don't worry for parking and vehicle. You can book your airport transfers, with your phone! We can offer you transfer service with driver in Belgrade! Car rental with chauffeur is best way to meet Belgrade. Belgrade sightseeing 3 hours car rental from 40 euro! We are specialized for airport transfers. 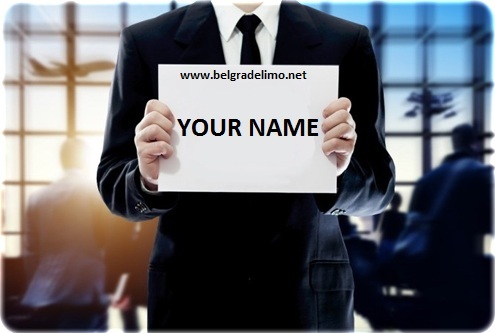 Our dress coded driver will wait for you with your name on the board and drive yor from airport to Belgrade city hotels or from City center to Belgrade airport. Book your airport transfer quick and easy! Feel Belgrade night life in full view without problems who will drive you. Your driver will always wait for you at place where he left you. Take your Limo club package and let yourself best night in life! We can offer you transportation for congresses, events and all other transport services in Belgrade and other cities in Serbia! Limo car rental for weddings! Click here for all details about car renting for wedding. 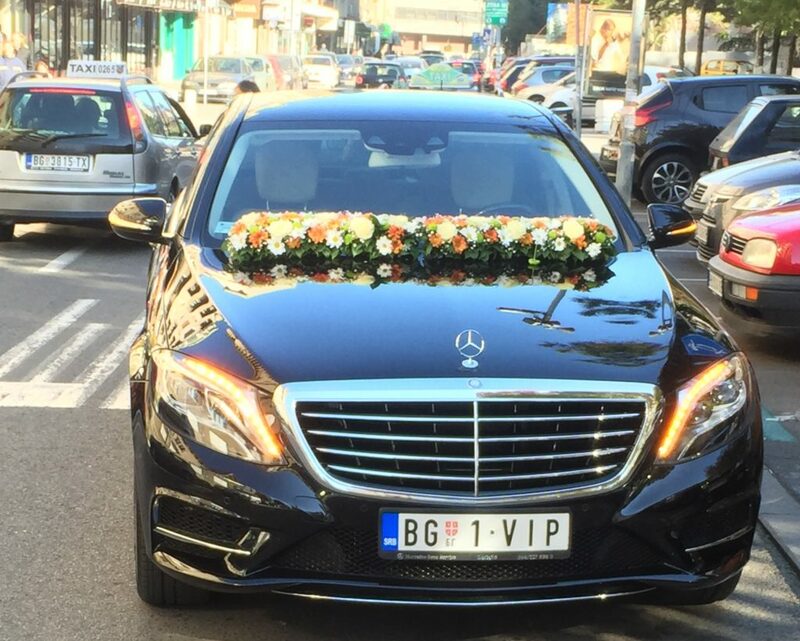 Limousine service with new Mercedes S class long AMG! Take a ride in some of most luxurious car in Belgrade. City day car rental (max. 10 hour max. 150 km per day) in city for 480 euro! Book your Mercedes S class now and here! Take your car now and enjoy! Here you can choose service which you need!